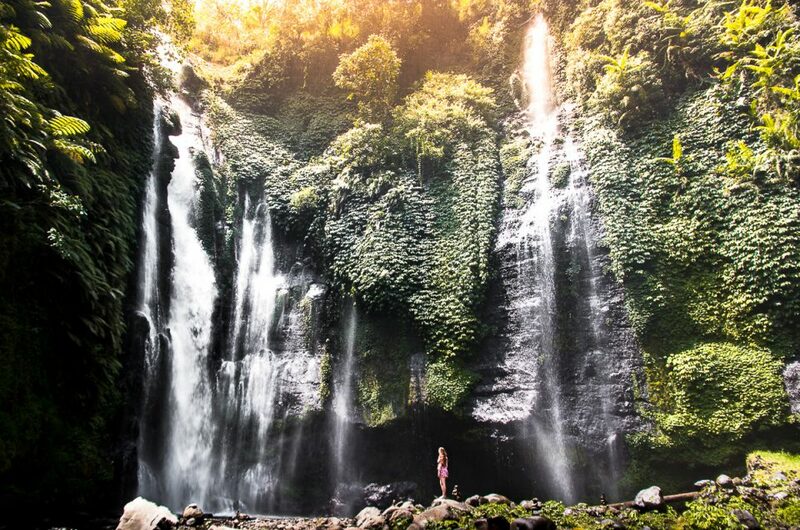 Ever thought about teaching English in Vietnam, perhaps to earn some extra money while traveling Southeast Asia, or just because you are absolutely in love with Vietnam? I say do it! Teaching English in Vietnam, or more specific Hanoi, is a great way to learn more about the Vietnamese culture, to earn some money and to experience what it is like living in Vietnam. While teaching in Vietnam is not as popular as countries like Japan, South Korea or China, it has been gaining popularity as the demand for English teachers has been increasing. Intrigued to go and teach yourself? 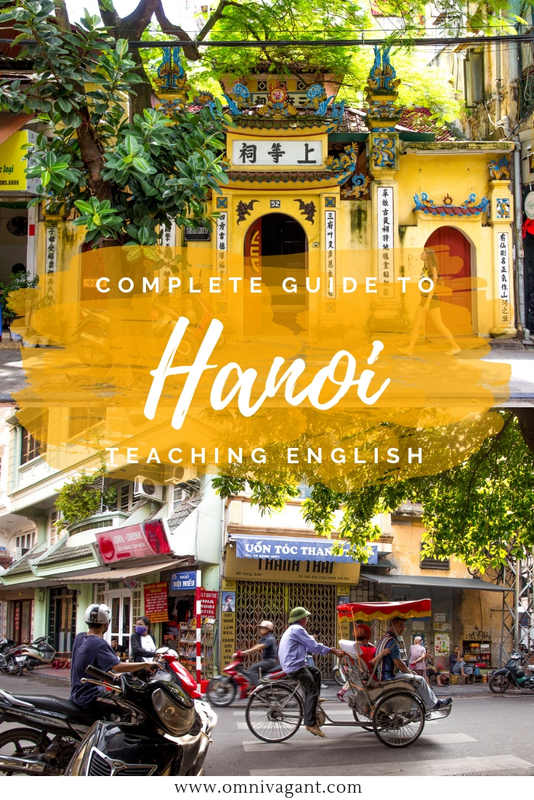 Read here our complete guide to teaching English in Hanoi, including how to find a job, qualifications and my personal experience of teaching English in Hanoi as a non native English speaker. 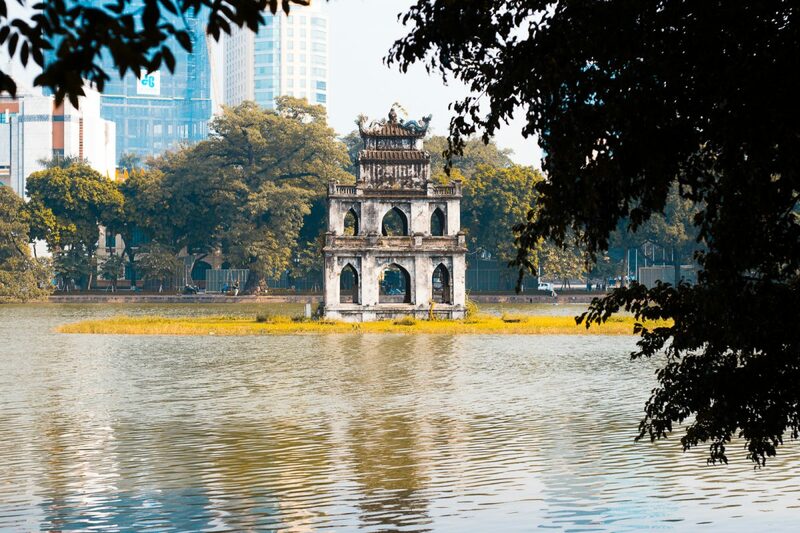 There are many places where you can teach English in Vietnam, from smaller villages on the country side to the hustling and bustling cities of Hanoi and Ho Chi Minh City. It is these two cities where it will be easiest to find a job and to find a community of people who do the same. 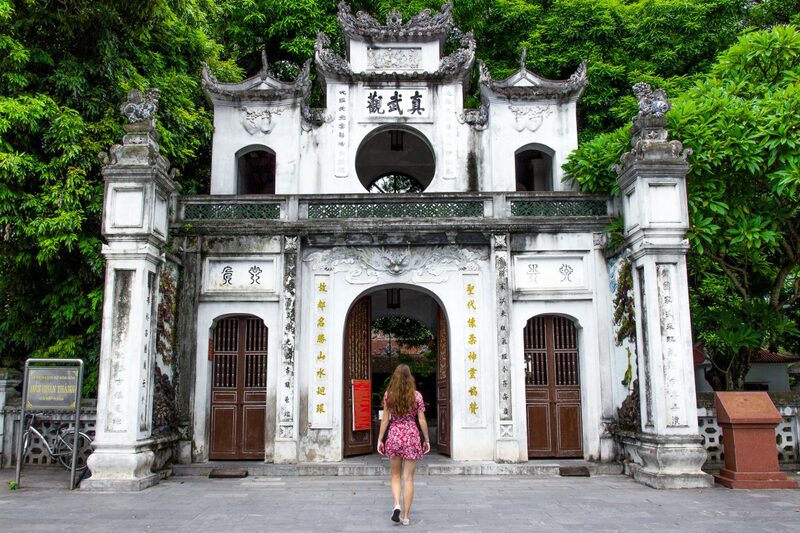 However, before you pack your bags and book a plane to Vietnam there are a couple of things you should know before you go to Vietnam and qualifications required to obtain an English teaching job in Hanoi. Read more about them below. If you have studied education in university it is possibly already imbedded into your degree! You can obtain one of the degrees online or in a classroom in your hometown. However, some of the larger language centers do not accept online acquired TEFL degrees, so be sure to check this in advance if you are planning on applying for a job with them. You can obtain the TEFL degree through one of the popular language centers in Vietnam such as Language Link, Apollo English and APAX English. If you obtain the degree in a classroom at home or online be sure to bring the original certificate to Vietnam. One of the most important qualifications and requirements for teaching English in Vietnam is having a university degree. Now the degree does not have to be in education, it could be any science, law, or art degree, as long as it is a Bachelor’s degree from a university. Without a university degree, you will have a hard time finding a job, as almost all language centers and schools require this nowadays. Be sure to bring the original diploma to Vietnam, as these documents are often required for obtaining a work permit/business visa and sometimes even to obtain a job.. If you are planning on teaching English in Hanoi, Vietnam, be sure to have some money in your pocket. While some jobs pay cash in hand, it is more common for job to be paying you after the month has finished. For example, if you have worked the month of January, you receive your pay mid February. During your first month of teaching and job scouting and before receiving your actual pay, there are some costs to be taken into account: cost of accommodation, food, transportation, the cost of your visa upon arrival and a possible visa run. It is advised to arrive with at least 3000$ in your bank account so you enjoy your first months in Hanoi worry free. To teach English in Vietnam you need to be coming from a native English speaking country. Coming from a native English speaking country means you it will be easy to find an English teaching job in Hanoi, as almost all schools and language centers have this as their main requirement. While it is not impossible to find an English teaching job in Hanoi without coming from a native English speaking country, like my case coming from the Netherlands, you will still need to speak English on native English level. If you are a non native English speaker, find more detailed info on what it is like teaching English in Hanoi as a non native English speaker below! So now that you have the info on the 4 most important qualifications on teaching English in Hanoi, it is time to go job hunting. You don’t have to wait to start your job search until you arrive in Vietnam, as you can actually find loads of jobs online! Apply for jobs in advance so you can have interviews lined up upon your arrival in Hanoi. Here are a couple of resources that will help you to find a teaching job. Major English Language Centers in Hanoi- there are a large amount of English Language Centers in Hanoi that are constantly looking for new English Teachers. Some of the most popular and largest English Centers in Hanoi are APAX English, Apollo English, ILA and Language Link. These jobs often have stricter requirements but do offer a more steady paycheck compared to some of the other options below. Some examples of these requirements are having a passport from a native English speaking country, a Bachelor’s degree, a clean criminal record, a recent health check and much more. As these requirements differ per language center please visit the language center’s website or contact the language center for the complete list of requirements. Vietnamese Employment Search Engine – if you are not interested in working with one of the large language centers, or possibly want to have a look of what kind of jobs are out there you can use an employment search engine. One of the largest employment search engine for teaching English in Hanoi is Vietnam Teaching Jobs. Most jobs here will state their salary, needed qualifications and benefits of the job. Visiting this website will also give you a good indication of what to expect salary wise and work hours wise. This website offers jobs in both larger and smaller cities. Some of these jobs on these websites are from large agencies who will hire you and find a job or multiple jobs for you. In the latter case, you will work part time at multiple language centers, meaning that it can take a while to build a steady pay check and it means working at a variety of different locations. IMPORTANT! – When applying for a job in Vietnam be sure not to take the first job, but to interview for multiple jobs, and if it seems to good to be true, it actually might be. While I have heard many positive stories about teachers finding jobs in Hanoi with either public schools or language centers, I have also heard less positive stories of teachers not being paid on time, or hours and schedules that kept changing frequently, not allowing to be able to get a steady pay check. While having a passport from a native English speaking country is often required by many of the large language centers, it is possible to find a job with a European passport, as long as you speak English on a native or near native English level. It will be harder to find a job, but definitely not impossible, as I can testify from personal experience. Look for jobs on either the Facebook groups or the Vietnam Teaching Jobs. Here you will find agencies who are more open to hiring teachers from European countries. I applied for multiple jobs with agencies that I found on Vietnam Teaching Jobs that were looking for native or near native English speaking and allowed Europeans to apply to. I send them the documents that they required, in my case this was a portrait photo of me, a scan of my passport, a scan of my TEFL certificate and a scan of my Bachelor diploma. Within a day I had arranged an interview at two different agencies. The process for the agencies was the same. At the interview I was requested to do a short demo class (10 to 15 min) with the help of teaching material they provided. Based on my demo class I was provided with options for teaching and expected hourly pay. I was also able to fill in a document stating my personal preferences for teaching (age group, distance, availability, amount of hours). Within a couple of days I had my first class scheduled. As this was an agency I would be teaching at multiple language centers throughout Hanoi. They would simply email me a class with the necessary info (location, class size, age group, time and day) and ask if I wanted to take the class. If it didn’t fit my preferences, I could simply decline the class and new offers would be sent later. From there on I slowly added more classes to my schedule until I filled it with roughly 20 – 25 hours of teaching a week. So now that you have some job interviews lined up there are a couple of things you might want to consider when picking a job. Here are some suggestions of things you may want to think about in advance before applying for a job or when being proposed a certain job. Public school or Language centers – This is one of the largest differences and things to consider when picking a job. Working at a public school will mean regular work hours, Monday to Friday, with a monthly pay check. You will work during the day in front of larger classes, with often a long lunch break, meaning that your weekends and evenings are free. Working at language centre will mean you will often work in the weekends and evenings, allowing you to be more flexible in choosing your own hours and possibility to work full or part time. However, working at language centers, as in my case could also mean working at multiple language centers spread across Hanoi, less routine and more prep work at home compared to working at a public school. 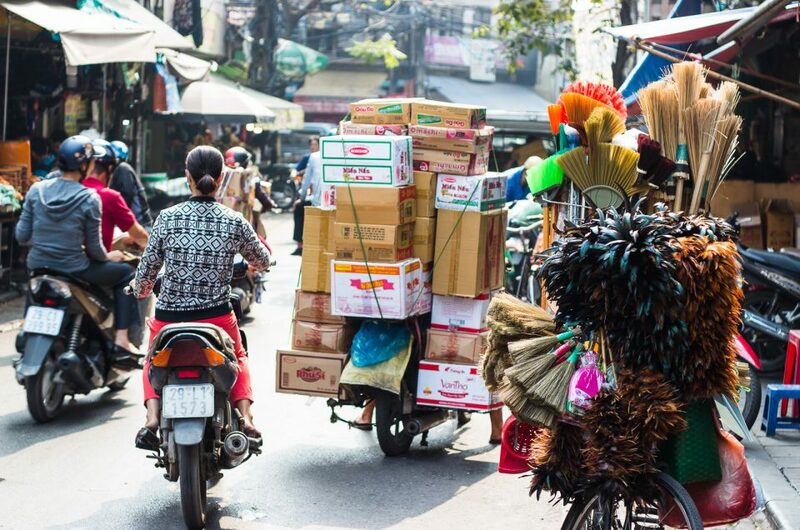 Distance to the job – The traffic in Hanoi can be quite hectic, and if you are working at language centers you sometimes might only be working 1 to 3 hours an evening. As such you will want your commute to be as short as possible or else it will take you more time to get there compared to actually teaching at the job. And while some places might seem close, if you have to get there during rush hours it can easily take you 40 min to get there. How far you are willing to ride is a personal preference, but try to get jobs as close as possible to your home to save yourself some time. Class size and age – If you have a preferred age you like to teach, or an age group you do not wish to teach, be sure to let your centre know. The same goes for class sizes. Class sizes can be as small as 5 but as large as 40. While you often be given a teaching assistant, handling a class of 40 can be quite the challenge. For example, I once went to a job where the class size was over 40 and the teaching assistants had simply left to grab coffee. With 40 kids between 5 and 8 years old screaming and bouncing around and no teaching assistants available I simply informed the agency I did not feel comfortable teaching here. Teaching English in Hanoi Salary – perhaps the most important to some of you, is how much you will be paid for teaching English in Hanoi. If you hold a passport from a native English speaking country you can expect to be paid between roughly 18 – 25 USD an hour when working part time. The exact amount is based on many factors such as experience, qualifications, length of contract and your initial demo class. As a non native English speaker teaching English in Hanoi, but holding a European passport, you can expect to be paid 15 – 18 USD an hour working part time. So now that you have arranged some job interviews, know what to ask for and to look for when looking for a teaching job, it is time to actually arrange a place to live. 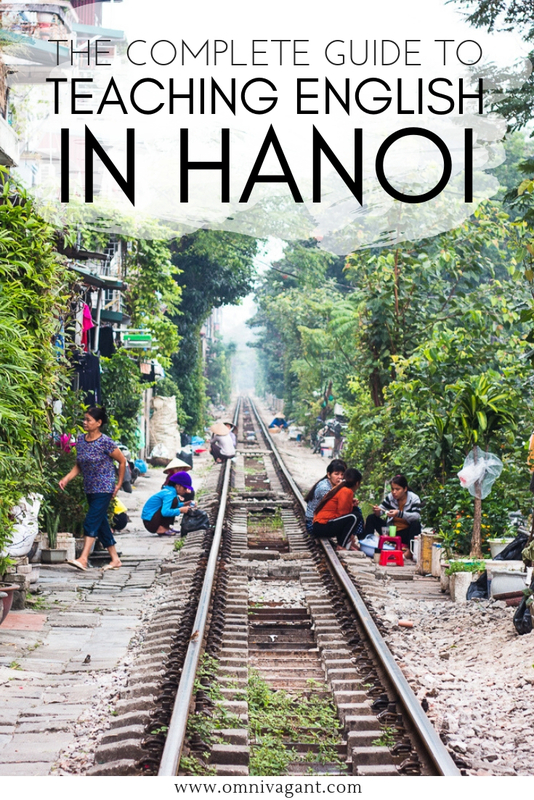 Arranging accommodation from a distance can be quite difficult, so the easiest way to arrange a room or apartment to live is while actually being in Hanoi. Upon your arrival simply book a couple of nights in one of the many hostels on Hostelworld or perhaps even get an AirBnB! 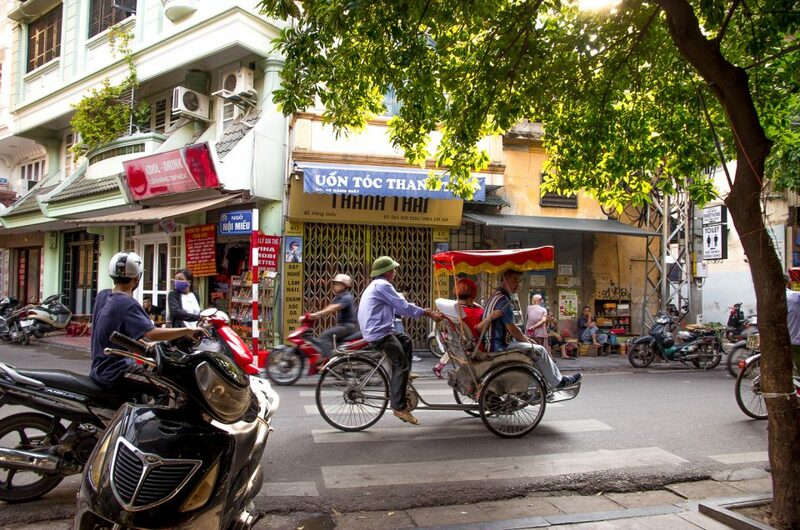 AirBnB is a great tool to find a private room for a low budget, in any of the areas of Hanoi. And to make it even better, sign up here now for AirBnB and receive a 30$ credit to be used on any of your future bookings! Now that you have set yourself up, the easiest way to go about finding a place is using the Facebook Groups. 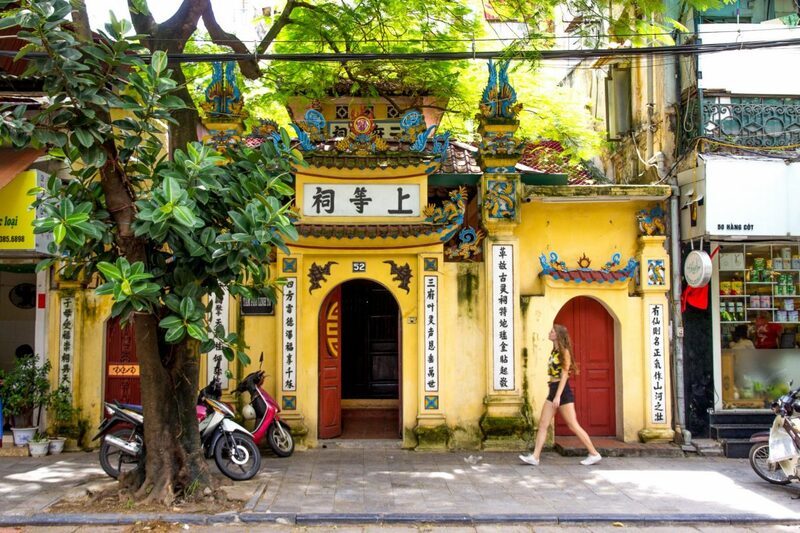 You will see many of the listings stating a neighborhood such as Ba Dinh or Tay Ho, with the latter one probably being the most popular for foreigners. Tay Ho is an area situated around the west lake that is home to probably the largest expat community in Hanoi, this is where many foreigners who work in Hanoi live. Compared to the old quarter the area is more quiet, and offers many of the facilities you have at home. You can find gyms, bars, dentist, supermarket, a small international hospital, pharmacy and many different restaurants. From burgers, pizza and Indian food to the most tasty Vietnamese breakfast dishes, Tay Ho has it all. For this reason many English teachers choose to live in this area! However, that doesn’t mean that you can’t live in other areas. Simply rent a motorbike for a day and go exploring to see where you would want to live yourself. If you are looking for a room in Hanoi, or are curious on what you can expect from renting a room in Hanoi you can check out the Facebook groups below. Here you will find apartment, studio and room listings newly added on a daily basis. Be sure to always go and have a look at the place before agreeing to live here. As you can see living in Hanoi is fairly affordable, and a salary of 1200$ will mean you can live comfortably, and still save some money to go on holidays and trips when you have the time! You can also opt to work part time, and work less hours. 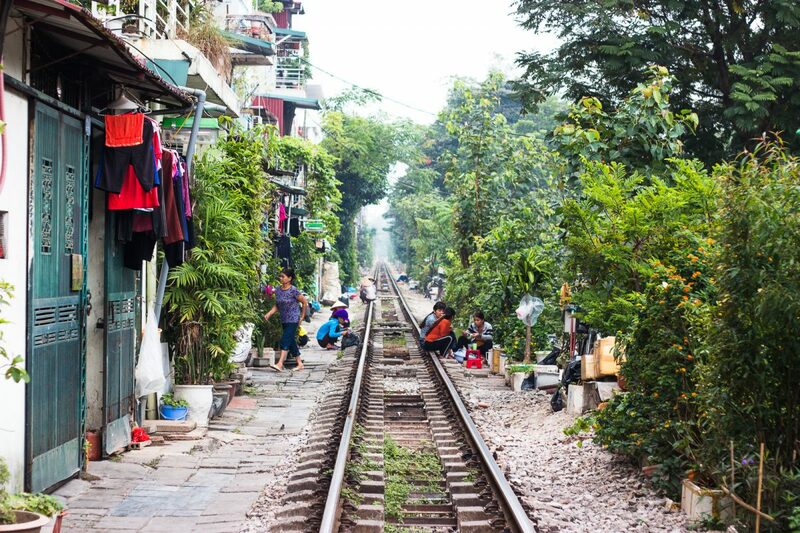 Or perhaps even use the money to go and see sightseeing in Hanoi! 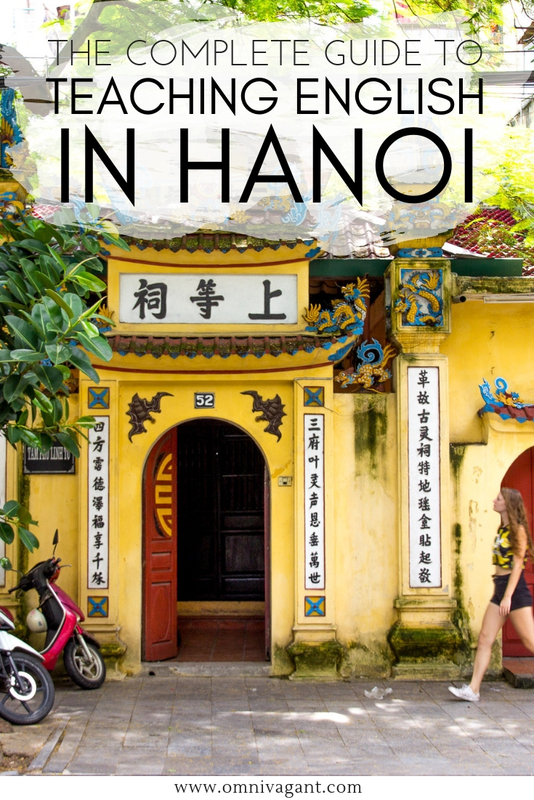 If you have never been to Hanoi, be sure to check out our complete guide to Hanoi, including loads of things to do and places to see! So now that you have jobs lined up, arranged to see some houses and are already to go and start teaching English there are a couple of useful resources that I wish I had knew about when I first started teaching English. If you are a complete newbie at teaching English, like I was, these tips might help you out. If you have been teaching English for years, you might want to skip this part. Songs – If you just start teaching you might realize that it is not that easy to keep the kids attention, especially if you are teaching kids below 8. A great tool to use for toddlers and kids below 8 is to incorporate songs. Sing the songs with the help of flashcards (Old MacDonald Had a Farm) or gestures (The Wheels on the Bus), most kids absolutely love it as it allows them to move around for a bit, and it creates some variety in your lesson plan. The Youtube channel Super Simple Songs, also available on Spotify, is a great place to find child and toddler friendly songs! Unicorn Shop – If you are looking for teaching material such as binders, whiteboard markers or my personal favorite suction balls (kids love these) you can find it here! The shop is located in Tay Ho, and while a bit hidden, it is the best place to find teaching material in Hanoi. Be sure to have some of those suctions balls in your backpack as you can play tons of easy games with them, and the kids go crazy for them, young and old! And there you have it, everything you need to know about teaching English in Hanoi! If you have any questions left, do not hesitate to leave a comment down below. Or perhaps you have taught English and you would like to add something to this article? Tell us in the comment section! Oh, and don’t forget to pin it for later!